The mix of cultures, the variety of terrains, the freedom of movement for Europeans, not to mention the close proximity of its borders, makes Turkey one of the most ideal destinations for motorcyclists. However, in many parts of the country there have been recent terrorist attacks, one after the other. In fact, the Turkish authorities have raised the alert level and increased security measures throughout Turkey, in order to reassure foreign visitors and guarantee a high level of surveillance. In light of these measures and of the recent events it is advisable to limit movement, and to avoid as far as is possible, demonstrations, celebrations and public gatherings, and highly frequented areas. Taking into consideration how volatile the situation is around the south-eastern borders (with Syria and Iran), travel is not advised at the moment in the Turkish territory on the borders of these countries, where there is also the risk of kidnapping. It must be added that as at present the frontiers with Armenia are also closed (June 2016). Avoid travelling ‘alone’. If your trip should take you to the far corners of the country, especially in this period, consider the possibility of hiring a local guide (if you’re in a group the cost can be split between all of you). Always ride on the main roads and through populated cities. Stop immediately at any check points you might come across. Avoid travelling after sunset and make yourself aware of any possible curfews. Advise your embassy of your movements and always leave some sort of trace. If you are a victim of a crime in Turkey, you can ask for assistance by contacting local police on 174 or 155. In case of theft or lost identification documents, it is necessary to make a report at the police station of the area where the theft/loss took place. Particular attention must be made when driving at night in rural areas, as agricultural vehicles on the road might not be equipped with lights. In the case of an accident, it is obligatory to wait for the arrival of police who will make the necessary verifications. Motorbike owners and drivers must be reminded that in the case of a driving fine, if they are not able to make payment, their vehicle may be repossessed (until the sum of the fine has been paid). It must be noted that for a speeding violation, or driving under the influence (drugs or alcohol), the Turkish authorities will confiscate the license and there will be a ban on driving in the Turkish territory for a variable period. There are a number of motorcyclists who enter Turkey with their own motorcycle over the Greek and Bulgarian borders. Kitting out your vehicle sufficiently is the best way to enjoy your trip to its full. The equipment you take with you must take into consideration the type of motorbike, whether you’re travelling alone or as a couple, the time of year and your trip plans. -if your plans are to ride off-road mainly, special attention must be made to protect the engine, radiator and the oil carter. -the choice of baggage depends on the type of motorbike, but usually at least a couple of side bags and a top case is necessary. If the trip is for longer than a fortnight, extra space can be added by making use of one of the many soft bags that can be found on the market. The waterproof range from GIVI is one of the most popular. -a windscreen, or at least a high spoiler, increases the driving comfort. -not to be overlooked are the small accessories that let you recharge your electronic devices while you’re on the move. -don’t forget the essential puncture and first-aid kits. -the alarm system must be quite robust. It’s better if it’s mechanical. -secure your bags with a special Security Lock. As for technical wear? Breathable, but with the ability to protect from wind and rain when necessary. Go for strong colours on your helmet and jacket so that you are visible during the day as well (fluorescent yellow safety vests are always a good idea). Entry into the country for tourism is allowed for up to a maximum of 90 days in the arc of 180 days. In this case, no visa is required. Italian citizens are required to show their passport, but an identity card which is valid for emigration is allowed, as long as it is in good condition and is valid for a minimum of 5 months. This concerns those who enter Turkey by air or sea, as well as for motorcyclists who arrive by land from the Greek or Bulgarian borders. However, a passport, which must be in good condition and valid for a minimum of 5 months, is absolutely necessary for those that enter the country via land or rail, from the south-eastern and eastern Turkish border, in other word, the borders with Georgia, Azerbaigian – an exclave of Nakhicevan, Iran, Iraq and Syria (at present, the frontier with Armenia is closed). In any case, the passport must have at least one free page, for the application of entry and exit stamps. Passport holders who do not present the above mentioned characteristics will not be allowed entry to the country. Currency and custom formalities: for temporary visitors there is no restriction on the sum of foreign currency. To drive in Turkey, all that is necessary is a European licence. 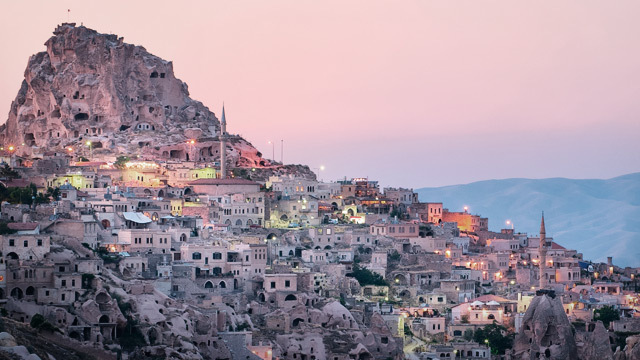 A visitor may temporarily import a vehicle into Turkey without custom documents …. but for a maximum period of 6 months. At the end of this period, the vehicle must remain abroad for a further 6 months, before being allowed to re-enter Turkey. On the passport of the importer, the details of the imported vehicle must be indicated and the same person must take care of the vehicle exiting the country. If you enter the country with your own motorbike, it must have an Italian licence plate and must be covered in terms of insurance of the Green Card, that must include the whole of Turkey. Non-Italian motorists must contact the Automobile Club in their own country or seek clarification from the Turkish one (TTOK). Whoever is without a foreign insurance policy valid for the whole of Turkey, must take out a short-term policy. These can be found in any of the branches of TTOK in Istanbul, Ankara and Antalya, at the ports of Izmir, Merson or Iskenderun, and at border posts of Kapikule, Ipsala and Derekoy. A transit carnet is needed if you intend to continue the trip to the Middle East. Whoever intends to hire a motorbike in Turkey must pay attention to the maximums (usually quite low in case of damage to persons or objects). Payment is necessary on motorways. The healthcare situation in the country is good and there are no vaccinations necessary for those who enter. Naturally, the best medical facilities and hospitals are the private ones. To obtain healthcare assistance such as urgent hospital admission, a doctor visit or the purchase of medicine, tourists are required to pay the relative costs out of pocket , which can be considerable. For this reason it is necessary to arrive with a medical insurance that covers any possible medical expenses necessary during your stay in the country. Since 2011 there has been an emergency number for tourists with any medical issues: it’s 112 and they respond in English, Arabic, Russian or German. Departments for foreign patients are present in 18 different provinces and in the cities of Ankara, Istanbul, Izmir, Antalya, Mugla and Aydin. For a few years now, in particular in the area of central and west Anatolia, there have been cases of hemorrhagic fever, caused by mosquito bites. In the summer period – and in particular in south-east Anatolia – particular care must be given to beverages (water is not drinkable) and to the quality of food. In particular, it is not advisable to purchase minced meat and many types of packaged starters and salads. Language: Turkish (belongs to Ural–Altaic group and is similar to Finno-Ugric. Uses the Latin alphabet and is currently spoken by 200 million people worldwide). Religion: Muslim. In the country there are also other communities (Christian Orthodox, Catholic, Protestant, Jewish). Italian Embassy in Ankara: Ataturk Bulvari n. 118 – 06680 Kavaklidere. Italian Consulate General in Istanbul – Tom Tom Kaptan Sokak, 5 – 34433 Beyoglu. Roadside Assistance: The TTOK has a help service for tourists in Istanbul from Monday to Friday, from 8:30 to 17:00. Tel: 0212 282 81 40-internal 217 / 223. It seems, judging by the price of petrol, that filling up the tank in Turkey costs an arm and a leg. We’re talking about prices that can go up to 2 euros/litre in some areas. On average the price is around 1.50 Euros/litre. Many petrol station along the main roads are open 24 hours a day, while others are open from 6:00 to 22:00. Credit cards are generally accepted in most places. Unleaded petrol is called Benzin kursunsuz. Super Unleaded petrol has an octane number of 95. Marmara, the Aegean Sea and the Mediterranean: typical mediterranean climate with hot summers and ‘mild’ winters. East and Central Anatolian: continental climate, hot summers and cold winters. Deciding how long to spend in Turkey on a motorcycling holiday is therefore linked to the type of trip you intend to do. On the Internet you can find a number of news reports and you can easily make use of the experience of those travellers who chose this country, in order to carve out your own itinerary according to your own interests, the type of motorbike you own, your experience on your bike, on the road, off-road or both, as well as how much time you have available. Generally the more eastwards you go towards Anatolia, you’ll find high plains that continue to rise and are crossed though by deep valleys and a dozen or so rivers such as Tigris (Dicle) and Euphrates (Firat), and numerous lakes. To the north, there is a mountain range parallel to the Black Sea that then turns into lush plains. Then there are the Mediterranean coasts, touched by 4 seas (these extend for more than 8000 kilometres). Whoever decides to leave their own motorbike at home (to make the most of a short holiday for example); will find many specialised companies in this country. Here we suggest a few, but by looking up on the Internet you would come across a large number of alternatives. This company rents the most recent models of every type of motorbike, the hp is medium/high apart from the Honda CRF250L, light and perfect for those who are truly serious about going off-road. They also have a wide selection of scooters up to 250cc. The offer is extended to ad hoc routes towards West Antalya (5 days) and East Antalya (12 days), western Anatolia (10 days) and other offers, to be carried out with the help of a local guide. On the site there are areas with useful FAQs that deal with insurance, travel coverage, rental requirements, baggage, what’s included in the price, etc. The team is comprised of members from Europe and Asia. A ‘convenient’ way to hire a motorbike in Turkey is to do so in Istanbul. This motorbike rental has a respected bike park; enduro, crossover, road, tourism, scooters. Their Turkish office is available 24/7. It’s possible to hire a BMW, Triumph, Harley Davidson …. and have it dropped off at your hotel. 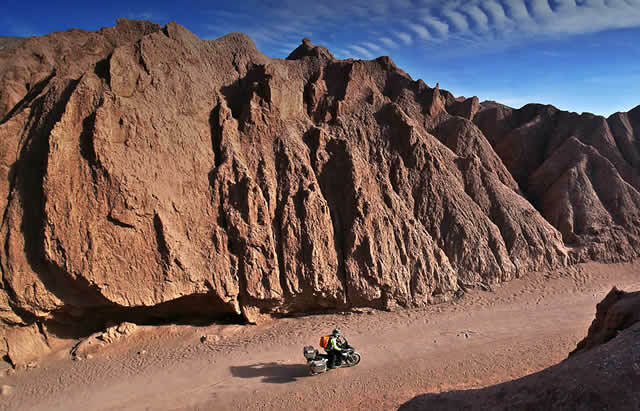 Motoroads also offers logistic support with detailed maps and tips on the best itineraries. As for the prices, quite reasonable. For example, 99 euros/day, that drops to 79 euros from the 8th day, down to 59 euros for 30 days or more for a BMW F700GS. A company from Lucca in Italy that organises a number of trips throughout the year in Turkey. For example from 6 to 20 August 2016: 100% asphalt, 16 days, about 4,900 km. Departing from Ancona (Italy) on your own bike with an expert team. Prices from 1,650 euros. Everything is taken care of (Coordination of logistics and assistance for motorcycling trips).